Is getting in and out of your tub difficult? Not with the TubCut! Why walk over your tub when you can walk through it! 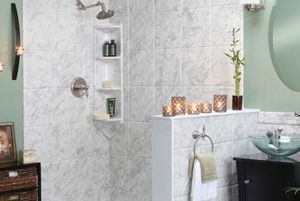 We convert YOUR tub to a walk-in shower in just one day. Why tear apart your existing bathroom and spend thousands of dollars and go days without a bathroom in order to feel safe getting in and out of your tub? This is a great solution for independence in the bath and maintaining your safety without breaking your budget. 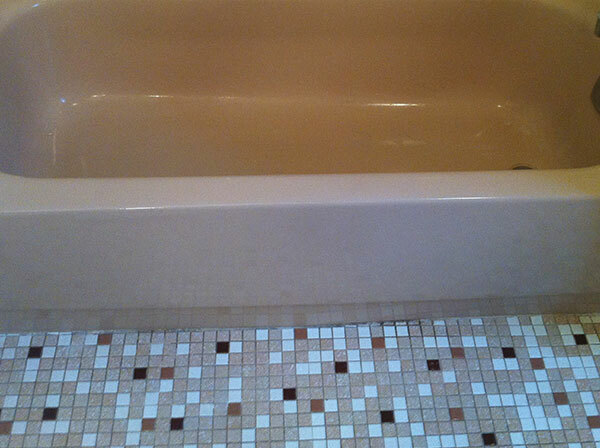 We use your existing tub and modify it right in place. 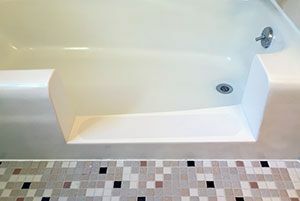 We convert your tub to a walk-in a shower, giving you the ability to walk through your bath tub instead of over it . A shower curtain is all that is needed to keep the water in, just like a shower stall, or some prefer to add a shower door the choice is yours. Don’t be fooled by imitator’s we offer the original “TubCut” process not a cap or an insert that rises above the rail of your tub and is just caulked in. Our system becomes an integral part of your tub and is only 4″ off the floor and comes in a variety of sizes and follows the same exact contour of your tub unlike any other method. Best of all its actually REVERSIBLE. There is also your typical soaking walk-in-tub. Starting cost in excess of $5000.00 and up without installation. All that expense just to find out that by the time it fills up, you wish you were done already. Try taking a bath then sitting in the bathroom for 3-5 minutes, soaking wet until you can get out. Not very comfortable. It “looks” like a great idea but most dont find it practical. Whether it is for the handicapped, elderly or the mobility-challenged, the TubCut is the perfect, easy and affordable solution. It makes sense and keeps it simple. The TubCut is custom fitted to YOUR tub becoming an integral part of the bathtub. With a seamless, factory appearance. It only takes 5-6 hours to complete and you can use it the very next day! The threshold is only 4″ above the floor, giving you easier, safer access to your tub and a simple shower curtain is all that is needed to keep the water in. It is the ONLY tub to shower conversion that can be REVERSED! 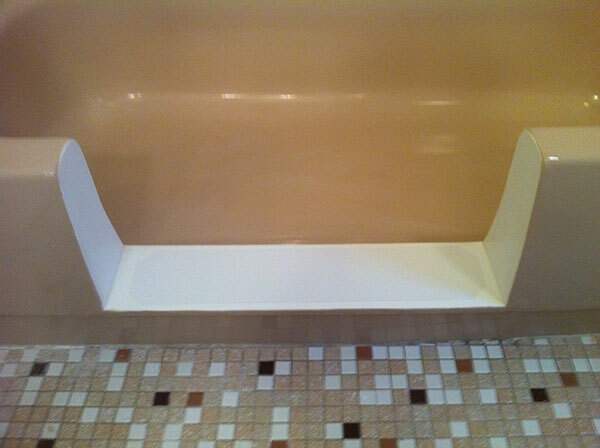 Save the cut out section and we can restore your tub to its original condition. If you decide to relocate and sell your home it doesn’t devaluate the home. Just have it reversed. Our Product is designed to help you stay in your home, maintain your independence, and bath with dignity. We offer a life time warranty. Our handicap accessible Tub modification meets ADA standards. Call us today for a free estimate right over the phone. Fantastic solution to my bath tub.  The whole process only took about 4 hours and your technician Rick was extremely professional very meticulous. Again, thanks for a great job. One Day Bath saved me a lot of money, time, and mess restoring my historic home. They were very professional and took care of any concerns I had. Rather than having to save for and plan to redo my kitchen and baths, I get to live in a nice home now. I did not have to replace sinks and tub I have from the 1800’s. They are as good as new. This made my home more valuable. You can’t go wrong with One Day Bath. We are so happy with the finished product of our bathroom thank you, Danny, Vinny, and Rick so much! I wanted to send you some side by sides in case you want it to show to future clients. I have originals of both too if you want those.